At Heartford House Child Advocacy Center, we want to be advocates for the children and families we serve who have experienced or witnessed a crime. Our family advocate provides crisis intervention at the time of the forensic interview, helps the parent or guardian understand the criminal justice process, victim rights, and connects families to community resources and organizations to meet individual needs. The family advocate also seeks to provide ongoing support beyond the interview to assist in the healing process for each child and family. 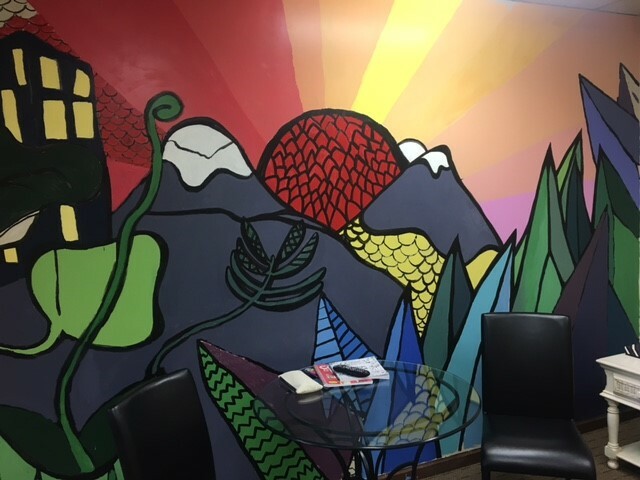 This mural was created by students involved with Tippecanoe Arts Federation After School Arts Program.